Songs that resonate with Bipolar people. As many of you know, fairly recently I began exercising daily. 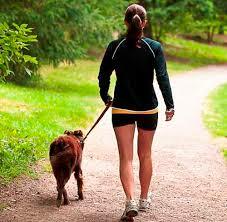 Part of my exercise routine involves a brisk walk (with my dog) that lasts about 45 minutes. During my walks I listen to music through headphones. I have finally discovered a way to quiet my bipolar mind. Between huffing and puffing, walking, keeping my dog in line and singing along in my head to the music, there is no room for the obsessive thoughts that usually plague my mind. When I get home, I am tired and hot but I am also revived. I feel like I just woke up from a deep sleep without nightmares. I can then go about achieving other things in the rest of my day with this renewed energy. And whilst my mind does start to think about things again it is not as intense as it usually is. For a few hours after the walk I get a reprieve from the obsessive thoughts, it is an excellent time for me to study – or write blog articles as I’m doing now. I have tried just listening to music (at home) and that doesn’t work. I have tried just going for a walk (without listening to music) and that doesn’t work. The golden goose appears to be the combination of the two, and I am thankful I’ve discovered it. 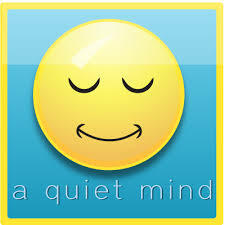 A quiet mind is usually impossible to obtain for me and for the moment at least I feel relieved that I know how to attain it for at least a few hours each day. To exercise or to procrastinate? Mental Health Survivors Sharing Our Voice. I believe in standing up to stigma by writing my way through living with a mental illness.